As you can see from the map below, Woodlands makes the most of its 45 acres to provide plenty of space around your luxury lodge home. All our plots are thoughtfully arranged to make each location unique and ensure that every one has something special to offer. Choose a large garden to plant and potter in, or pick a plot beside the fishing lake or alongside the canal, where you can indulge your passion for angling from the comfort and convenience of your own deck. Whichever you choose, you’ll love the unspoilt natural environment at Woodlands, with its rolling landscape punctuated by shady copses and criss-crossed by meandering waterways. 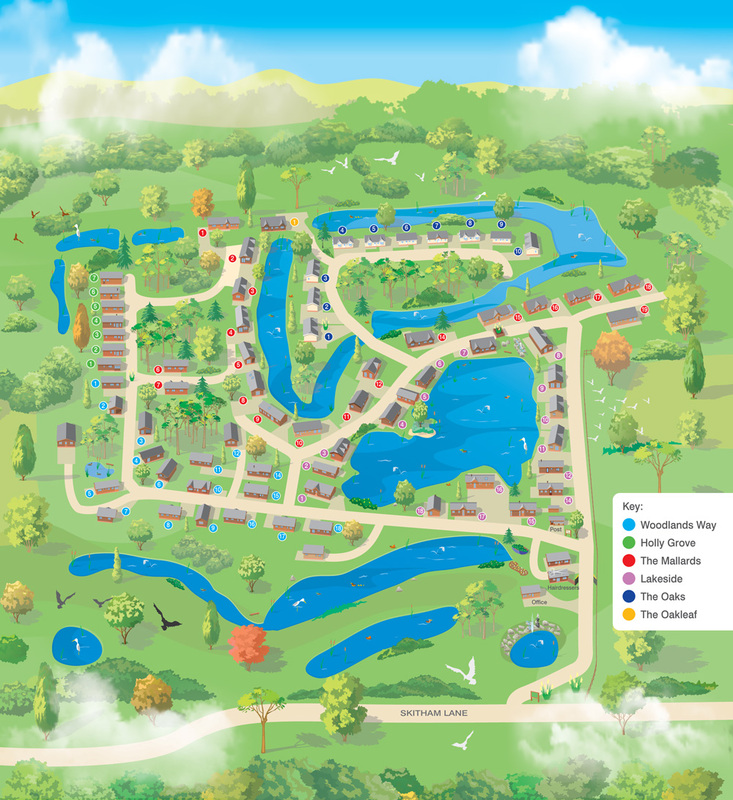 Woodlands is already home to many species of birds, animals and fish, and now you can make this idyllic location your home too.